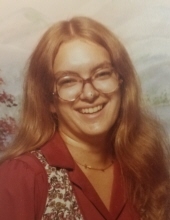 Terry Lynn Varney Dockery, 63 of Green Bank, passed away Wednesday, April 10, 2019 at her home in Green Bank. Born October 15, 1955 in Pocahontas County, she was a daughter of the late Gail Varney Pennington. Terry was a member of Durbin Brethren Church and was a homemaker. In addition to her mother she is preceded in death by her step-father Jesse Lee Pennington. She is survived by her husband, Larry E. Dockery of Green Bank; a daughter, Jennifer Lynn Dockery of Elkins; sisters, Donna Rogales (Gunther) of South Carolina, Pamela Arbogast of Durbin and Kathy Robinson (David) of Morningview, Kentucky; also surviving are several nieces and nephews. "Email Address" would like to share the life celebration of Terry Lynn Dockery. Click on the "link" to go to share a favorite memory or leave a condolence message for the family.